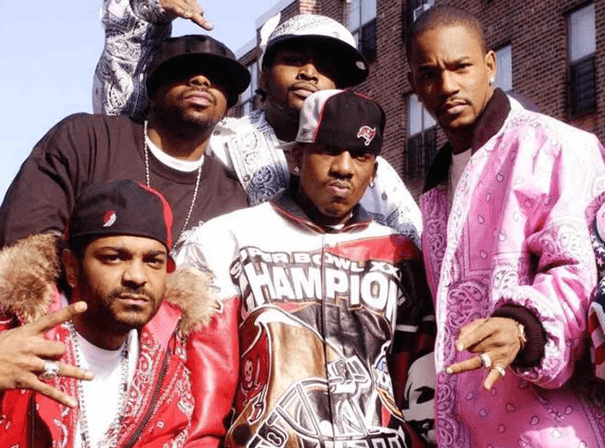 Formed in 1997 by Harlem homeboys, Cam’ron, Jim Jones and Juelz Santana, the Diplomats, known as Dipset, are one of the original legends of hip hop. Their first studio album, Diplomatic Immunity (2003) was released on Def Jam imprint Roc-A-Fella Records, with their follow up, Diplomatic Immunity 2 (2004) released on Koch. Both gained huge critical acclaim as well as winning the crew a legion of dedicated fans. With the world at their feet, the Diplomats imploded due to artistic differences, and didn’t begin recording again until 2010, when Freekey Zekey and others joined the line up. Following a reunion concert, to celebrate 10 years of Diplomatic Immunity, the group returned to the studio, releasing the single, Dipshits, featuring DJ A-Tack in 2014, followed in 2015 by Have My Money. 2015 also saw the release of the mixtape D-Block vs The Diplomats. Though constantly troubled by infighting and rivalries, The Diplomats refuse to die. They have no choice; hip hop is in their blood. We certainly haven’t seen the last of this seminal crew and its genre defining members.